YES – it’s this time of the year finally ! 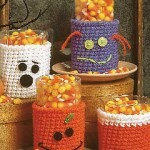 Who does not love halloween ? Only a bit more than 5 weeks until our gardens turn into graveyards and our kitchens deliver spooky finger foods. 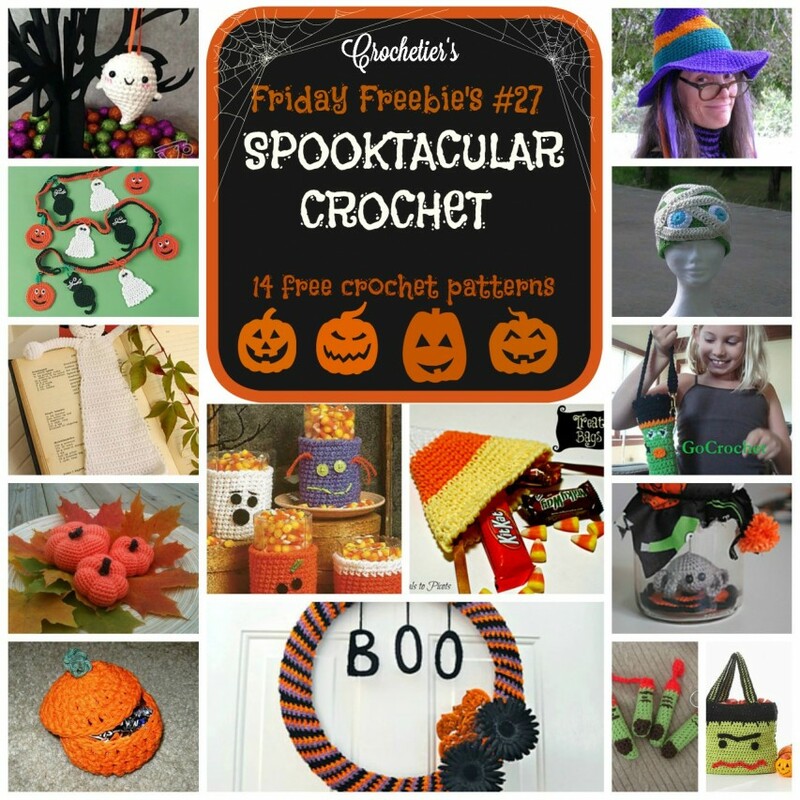 Get inspired with this 14 free spooktacular crochet patterns! Simply click on the name of the pattern to get linked to it. 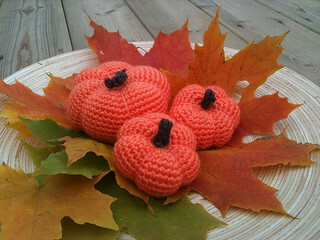 What a cute free ravelry download! 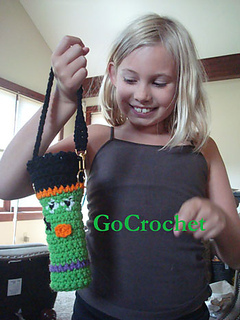 Great for your kids halloween party! 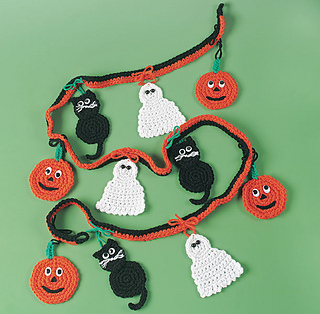 With happy pumpkins, googly-eyed black cats and silent ghosts, this versatile little garland will add a festive touch to your Halloween party. 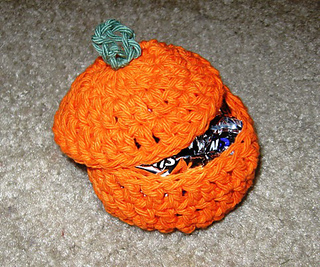 Use it to dress up your door in whimsical style to delight trick-or-treaters of all ages! 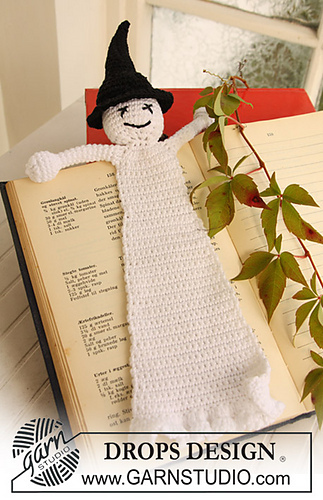 Very easy and cute pattern for a bookmark – what a great idea for little ghost story lovers! 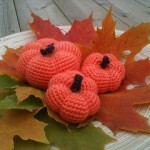 Simply beautiful and classic halloween or fall decoration! 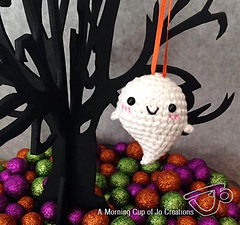 The link leads you to the ravelry page of this pattern, if you click on the “free pattern available here” link, it will download the pattern from a dropbox immediately. 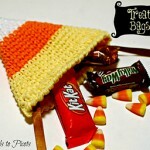 Great idea for a trick or treak basket! 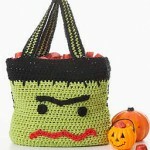 The site includes other cute halloween decorations as well. 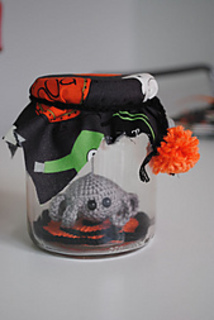 What a cute idea for reusing jam jars – also something you cando with your older kids together! 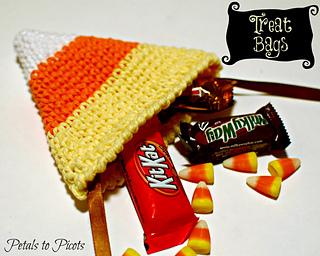 Make these cute little Halloween treat bags for all your little ghouls and goblins. They are quick and easy and perfect for a handful of little treats! 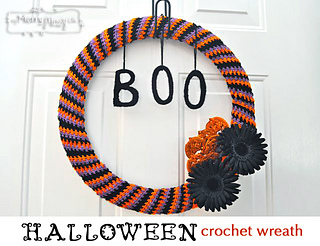 Tutorial with lots of pictures to help you create this beautiful door wreath! 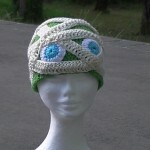 While you’re at it, check out her other patterns, she is such a great designer! 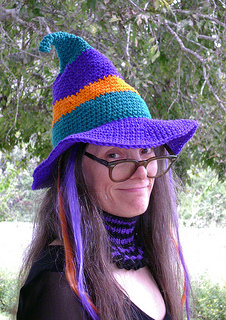 This fast, easy hat is designed with a floppy brim as well as a flopped-over point. 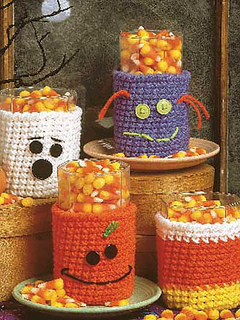 Whip one up for yourself, and another for your favorite pumpkin. 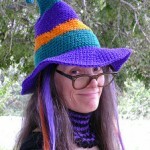 Free ravelry download! 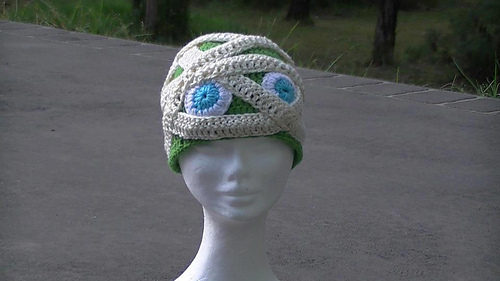 A great youtube video tutorial for this fantastic mummy hat! 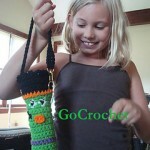 This great pattern can be downloaded directly on the linked page! 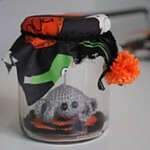 This cute little spider in a jar, just hangs around! 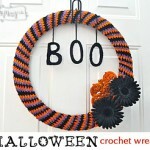 Make this great halloween decoration for your own home or to suprise your friends! 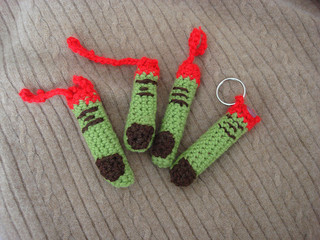 A creepy severed monster finger can serve as a home for your chapstick. 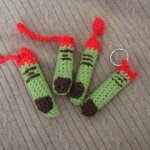 Use a variety of methods for creating the closure, and even attach it to your keychain. 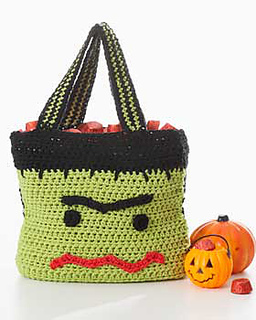 Frankenstein bag with lots of candy space for ambitious trick or treaters! 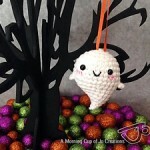 I hope you liked this spooky pattern round up! 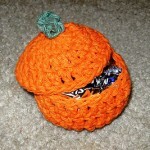 Don’t forget to follow me on Facebook and Pinterest, so you won’t miss any of the free patterns I post here and there!